This could be an above average year for wildfires in the Great Lakes region. A federal report from the National Predictive Services Program anticipates the potential for higher than the average number of wildfires for the region by the end of summer. The report is produced under the National Wildfire Coordinating Group, a coalition of state and federal agencies that set wildfire training and equipment standards. It predicts a small increase of wildfires this year for the lower region of Michigan, the northern portions of Indiana and Ohio as well as sections of New York and Pennsylvania. The increases are expected in the second half of summer from July through August. For one thing, the long winter delayed Michigan’s fire season, said Kollmeyer. Fires are not out of the question, but they are not going to ignite as easily until it dries later in the summer, said Kollmeyer.Without higher temperatures and drier weather, fires aren’t going to spread as rapidly. Warmer temperatures are predicted and could cause the drought like conditions that create fires, said Stephen Marien, a fire weather program manager at the predictive fire center. 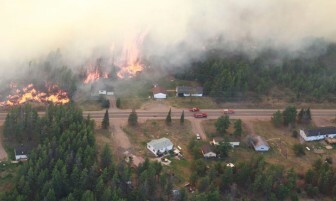 The increased precipitation in the Upper Peninsula delayed the fire season to the second half of the summer — a period that usually has fewer fires, said Marien. The report predicts a drying trend, allowing for the more fires, he said. The prediction is just above average and not necessarily an overly large increase. Indiana wildfires have decreased over the past two years as well. But officials there are also anticipating more wildfires this year in the northwest of the state where there isn’t as much precipitation, saidDarren Bridges, state fire supervisor for the Indiana Department of Natural Resources fire headquarters. The Midwest fire season is difficult to predict because there can be several weeks of drought and then a few days of rain and the fire season is over, said Bridges. “Wildfire trends are kind of misleading because, basically, if you have three wet years in a row — meaning more than normal precipitation — the numbers are going to go down,” said Bridges. 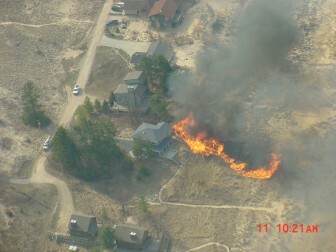 In Michigan, climate change could cause more severe fire seasons, said Kollmeyer. But the year—to-year trend is not easily predicted. The spring precipitation delayed the fire season, Kollmeyer said. But heat waves could put it back on track. “If we go three days without rain in Michigan, we are going to have fire danger,” he said. “If we go 10 to 12 days in the summers without rain, you will enter fire season. In past years, the spring had a lot of rain, which delayed the fire season, said Crystal Hunt, program coordinator at Indiana’s state Fire Control Headquarters. The end of the season’s wildfires could very easily pick up, she said.